If we want to feel comfortable in our homes, we would want to take a sit on a comfy chair or maybe even on a day bed or in your own bed in the bedroom. 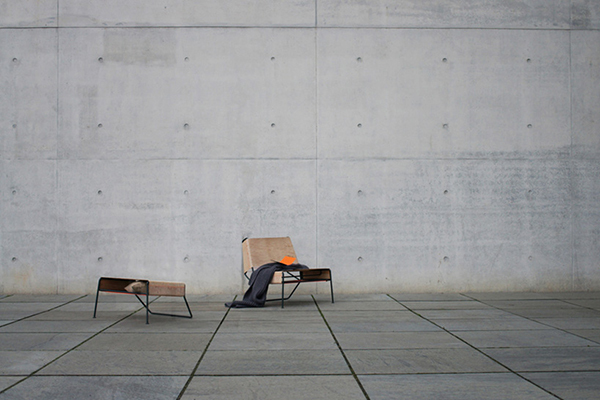 But relaxing in the living room is also something that most of us do. That is why we would include a lounge chair with a foot stool so we can stretch our legs while raised up and just relax while reading a book, watching TV or just looking at the outdoor view. 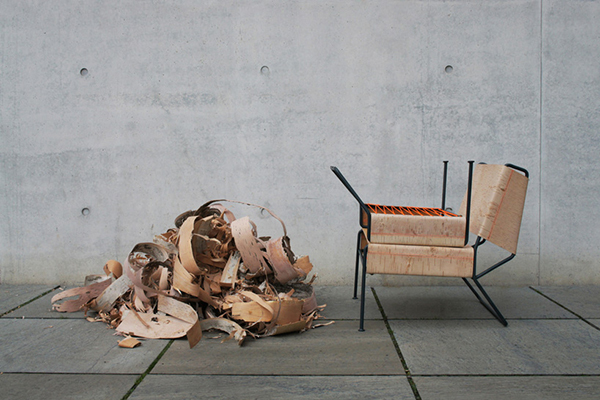 Seen here are the excess bark that were no longer used in making the lounge chair. 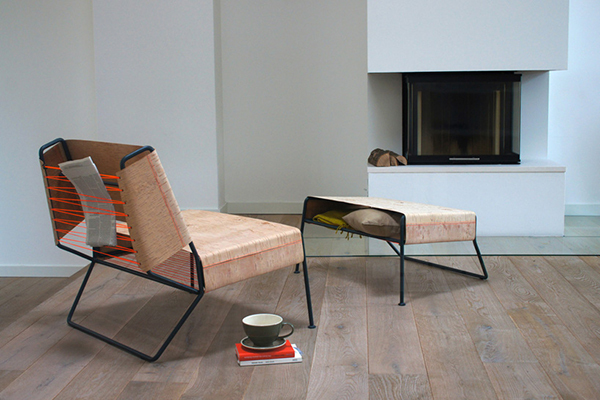 The chair has a design that is beautiful and contemporary. It comes with a foot rest that seems to give us a promise of a comfortable experience while on it. 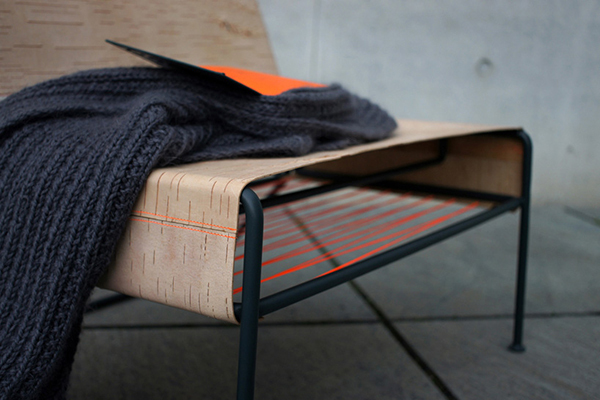 At the back and under the chair are strings that holds the material into the frame. It can also double as a holder of newspapers and other stuff. A closer look at how the birch bark looks like as it is attached together to be able to wrap around the frame. 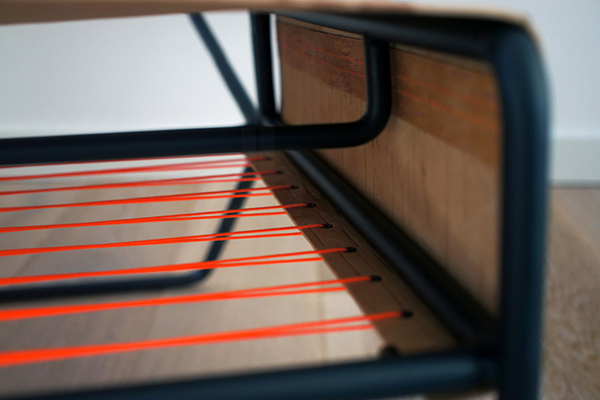 The footrest also have strings under it in striking orange color. Let us take a closer look at how the strings were attached. 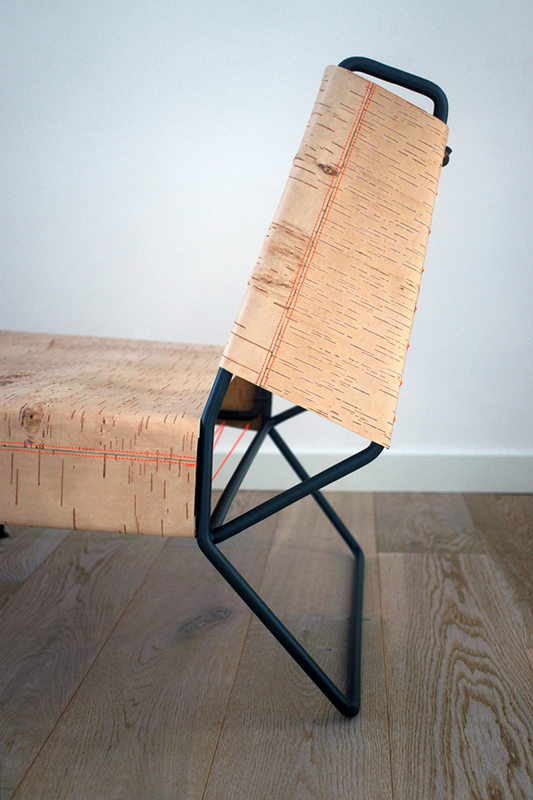 Aside from holding the birch bark, the strings are also added design to the chair. This is how the birch bark looked like before it was used for the chair. 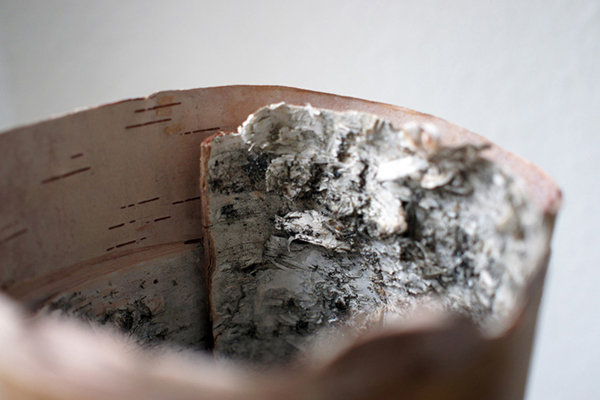 While the birch bark is a type of material that seems to be gradually forgotten, the designer Anastasiya Koshcheeva tried to show the world the wonderful potential of a birch bark. 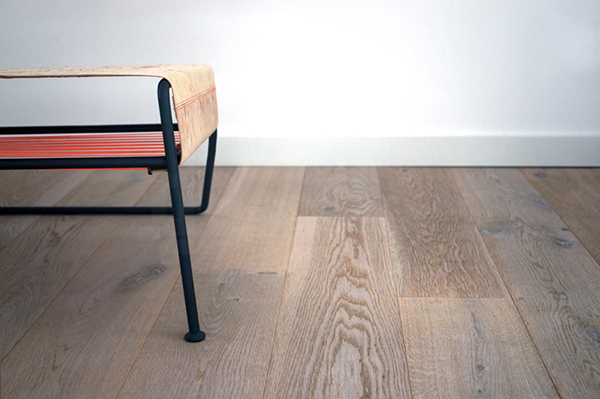 Her project deals with ho she can reinterpret an old age custom and make the craft modern and up to date. 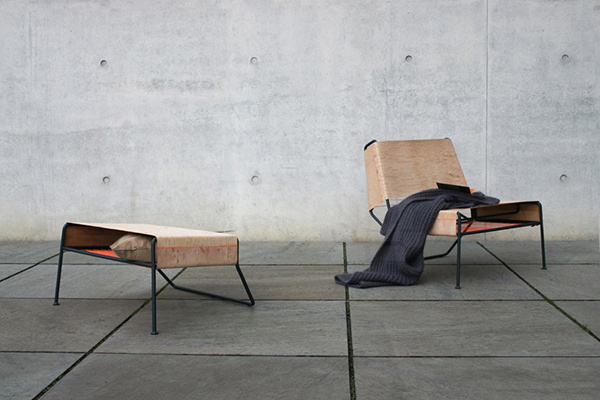 What can you say about this lounge chair?